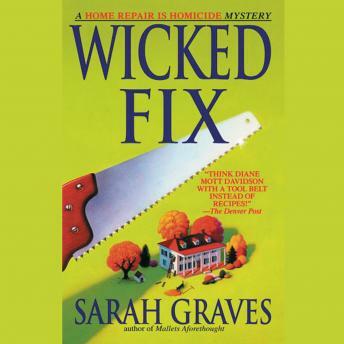 For ex-Wall Streeter Jacobia "Jake" Tiptree and her teenage son, Sam, September promises tranquil days winter-proofing their rambling handyman's special of a home in Eastport, Maine. But there's nothing idyllic about this Down East autumn. For starters, the return of truly vicious native son Reuben Tate stirs up the town. And when somebody slits Reuben's throat and hangs his corpse on the cemetery gate, the police trace a bloodied scalpel to surgeon Victor Tiptree-Jake's former husband. Yet Jake knows her troublesome, trouble-prone ex is capable of just about anything except murder. Proving that, though, will involve nailing the real killer.